Area 15,144 sq. km. 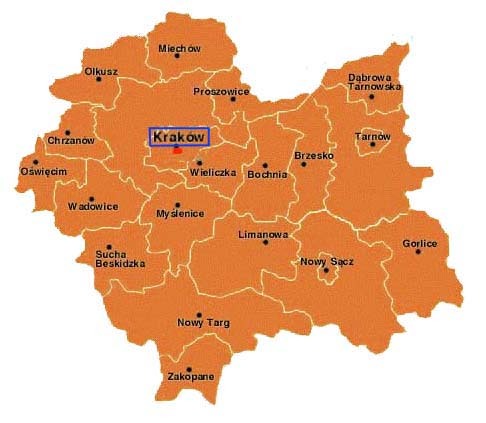 Provincial capital city: Krakow. Population 3,2 million of which 58.6 percent of the school age and younger, 14.3 percent elderly, 50.6percent urban. Population density: 212,4 per sq. km. Population growth is 0.23 percent a year.